Updated Nov. 7, 2017, 10:40 a.m. ET: Late-night favorite Jimmy Kimmel has been open — and emotional and understandably political — about his son, Billy, and his struggles with a congenital heart condition. Now, after a short break from the land of late night, Kimmel returns to the set this week with news on 6-month-old Billy‘s health. 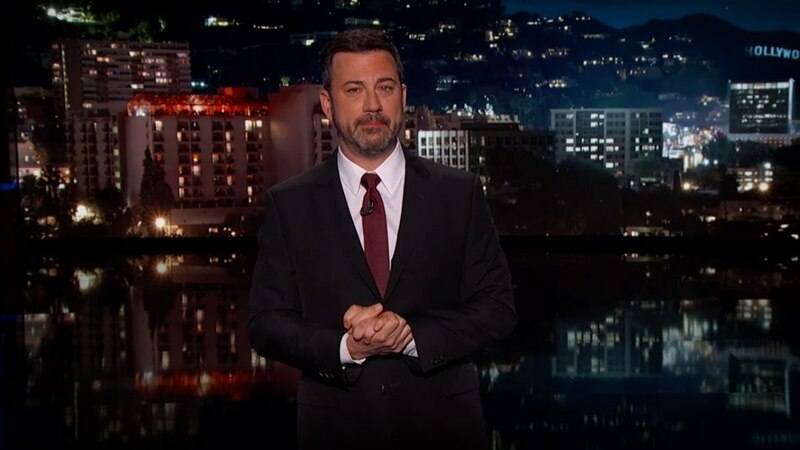 Late-night comedian and talk show host Jimmy Kimmel got uncharacteristically serious on Monday night during his opening monologue when he revealed that his newborn son had just undergone open-heart surgery for congenital heart disease — a terrifying experience for any family. Kimmel and his wife, Molly McNearney, welcomed their new baby boy — William “Billy” Kimmel — on April 21. A few hours post-birth, a nurse discovered the newborn’s color had gone purple. Doctors ultimately determined that the infant had a heart defect. And at only 3 days old, Billy underwent open-heart surgery at Children’s Hospital Los Angeles. Billy will still have to undergo at least two more heart procedures when he’s older, but for now, he’s out of the woods. Still, Kimmel — father of four — was clearly shaken by the experience, as any parent would be (even the funny ones). Sharing family photos (also featuring his 2-year-old daughter, Jane), Kimmel perked up talking about his loved ones. “You can see Jane’s pretty excited about having another kid in the house,” he quipped about one picture. “This is me in a coma,” he narrated over another picture of him passed out in exhaustion next to baby Billy. Kimmel’s gratitude to Cedars-Sinai Medical Center and Children’s Hospital Los Angeles was palpable. He thanked the medical staff profusely and encouraged his fans to donate to CHLA to help other families with sick children. Kimmel will be off the rest of this week on much-needed paternity leave, but fans, fear not. He’s lined up a pretty impressive roster of substitute hosts and guests, including friends Will Arnett, Maya Rudolph, Anthony Anderson, David Spade and others. Not too shabby, Kimmel, not too shabby at all. This story was originally posted in May 2017 and was updated in November 2017.